"To those whom much is given, much is expected." Many of us are probably familiar with hearing this from JFK, but it originally came from the Luke in the New Testament. It would apply to many of us who live in Marin County. I’m not just talking about money, but energy as well. Moneywise we’re the richest county in the state, but we have much more than that. We have a citizenship of people who sincerely believe we can make the world a better place, can raise the consciousness of the planet. It’s not like this everywhere—much is expected of us. Aside from contributing some of every commission to a group who is contributing to positive change, I try to focus my extra energy in several specific groups with which I am actively involved. It’s important to me to focus on the local and the global. My current interests are: ForWords who helps kids learn to write, use multi-media and express themselves--www.forwords.org; Wildcare, an agency which takes care of wild animals and teaches children about nature www.wildcarebayarea.org; and Search for Common Ground, an international agency who brings conflict resolution to 20+ different countries through the use of skillful negotiation and media www.sfcg.org. Search for Common Ground has many wonderful projects underway in many countries, using a novel approach to resolving conflict by changing attitudes and getting all to work toward a common goal. I am especially attached to their Nepal project as I was lucky enough to visit their last year, meet with the staff and the director in their offices. 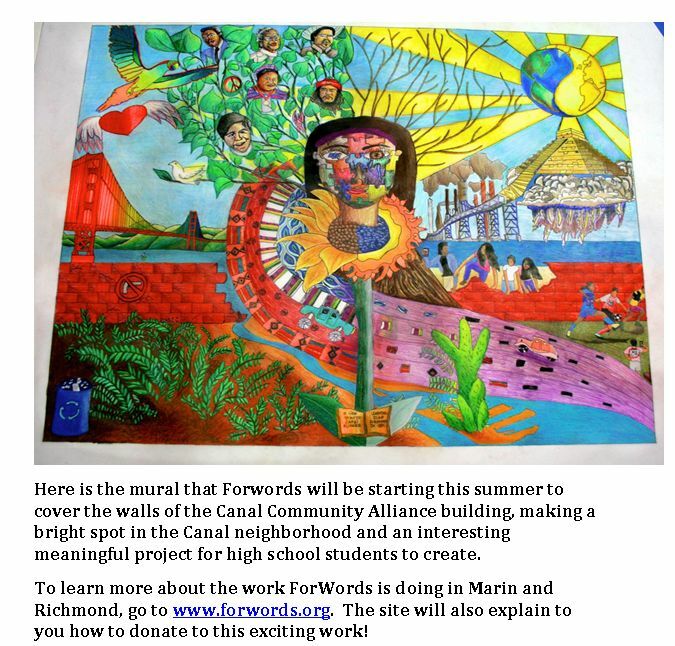 Go to SFCG.org to read about other programs as well. About 4 years ago I started through a personal phase where I wondered why I was doing what I’m doing; there was so much that needed to be changed in the world and I was doing so little to help. I seriously thought about changing careers, reaching for more meaning. I felt the political process was more about money than democracy and it didn’t matter too much which political party I supported. At the time, having one child still in college I wasn’t free to change so I sought to do what I could within the framework of my business. I discovered I could make small efforts which created big change. I discovered that I could act in my local community, in the larger Bay Area and internationally by enlisting the help of my wonderfully supportive clients and friends. The local efforts have been the most rewarding though I haven’t given up on the international. I learned that simply sharing information is helpful in the cosmic overlay. There is so much we can learn from each other. My “plan” has expanded a little each year. I welcome any ideas you have. I started by helping a friend who teaches at Richmond High get books for her students—they had no reading books, little paper and supplies. My friends had too many—it was an easy fit. I started 4 years ago, and though resources and support have diminished for Richmond High, the support my clients have supplied has enabled her students to jump several grades in reading ability, test higher and have a new sense of self worth. We have actually gotten to a place where no more books are needed! Three years ago I worked with the Citizens Facility Committee in Ross to craft a proposal that would garner the support of the community in rebuilding our own school in Ross. I worked with the community to put together a Town Council which would be more supportive and more polite. 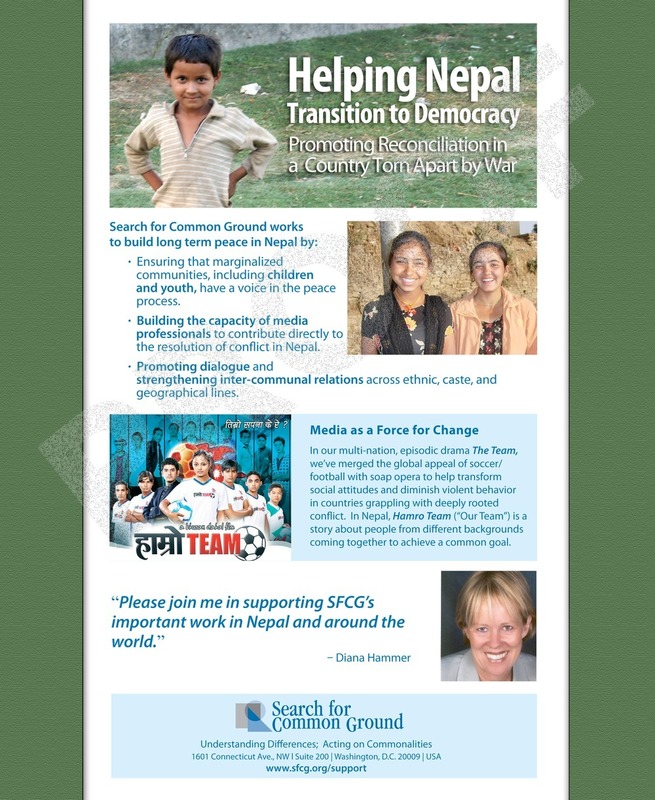 I have been supporting Search for Common Ground which intervenes in international conflicts in seventeen countries. I’ve helped them set up seminars, fundraisers and expand their support base on the west coast. This is slow going but so valuable. In order to make my work more sustainable I have gone through the county program to have my office certified as a green business. I will be working this year on increasing my knowledge of green building practices and energy conservation. At the end of a transaction I have always liked to give my clients a small gift, but this has become increasingly difficult. So I decided, as a gift, to contribute to an organization that they or I admire. As few need more do-dads to clutter their house this new program has become increasingly interesting and valuable to my clients. I have found that I don’t have to travel far nor ‘don the robes’ to make changes; in fact, working within the context of my business is probably the most effective.